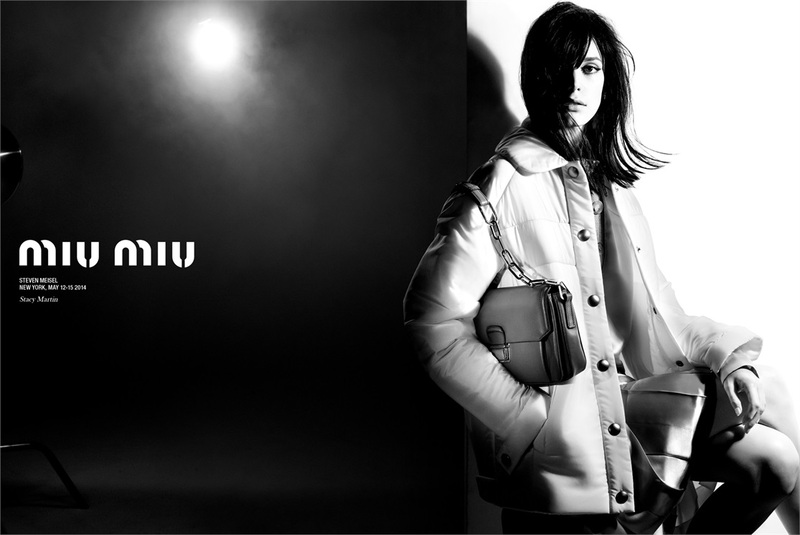 Stacy Martin became the face of Miu Miu Fall/Winter 2014-2015 collection. 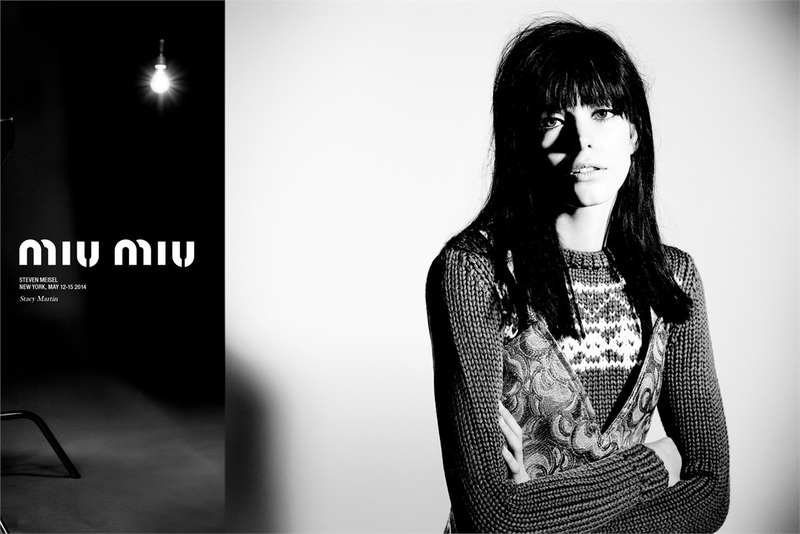 The young actress, that you remember from Lars Von Trier’s controversial film Nymphomaniac,appeared at the film première in New York dressed in a Prada dress and at the after party she wore a Miu Miu dress. So it looks like Miuccia Prada had her eyes on her for some time now. 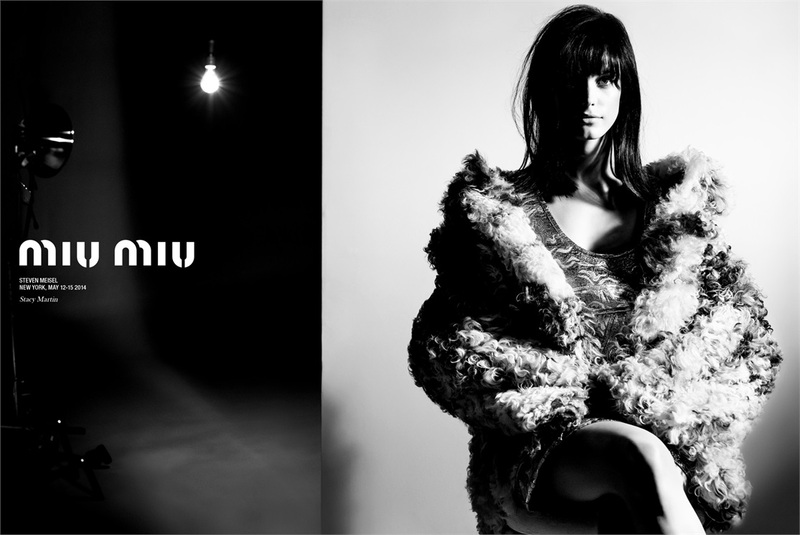 Stacy Martin makes a return to her modeling roots starring in Miu Miu’s ad campaign. The author of the beautiful black and white photographs is photographer Steven Meisel. He like no other, is able to create a static frame with a truly cinematic allure. It’s enough to remember his emblematic editorials and covers for Vogue Italia. “In her hands, the clothes become layers in a rich narrative of multiple femininities, the glamour of Warhol and living and dressing effortlessly”, a representative of the Italian fashion house said.